Have you ever been using a battery powered device and the batteries have lost power? I know, frustrating… but have you ever noticed that you need to pee at the same time? Well if you have then these batteries are your answer! 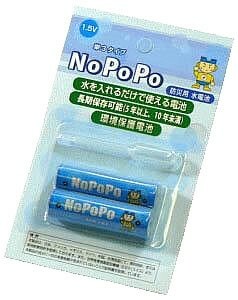 Now to be fair, they are aqua powered batteries developed in Japan, so they work with any fluid. However, they are promoted heavily to be powered by urine. I’m sure the invention of aqua powered batteries are enough, that’s an awesome invention in itself! I’d even call it revolutionary! But why promote them as urine power? Ok, I can understand the usage for urine, lost in the bush, forest or desert you run out of essential battery power, urine could be utilised… Yet, how often does that happen in Japan?